New generation waterbeds on display. In days gone by, waterbeds have been given a bad rap. But no longer are waterbeds just bladders full of water. Come in and experience the new generation of waterbeds. 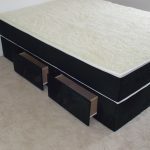 Though innovation and pioneering design, we have made waterbeds more reliable, more superior, more durable and more luxurious and the ultimate in lavish comfort. Our Softsider waterbeds are revolutionary. 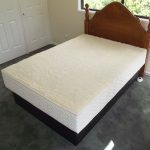 We incorporate only the best materials to create a bed that will give you the best nights sleep you have ever had. And the best part is, you can keep your current furniture. 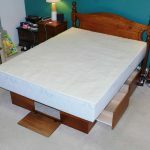 If you have furniture you love that supports a normal size mattress, then chances are we can customise a simple solution to get you sleeping in superior comfort, without compromise. 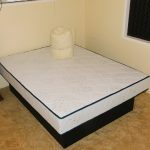 We have so many customers returning to waterbeds after many years. Nearly all them say they used to have waterbeds and ALL regret getting rid of them. They are blown away when they walk into our showroom and see the new generation of waterbeds that are now on offer. 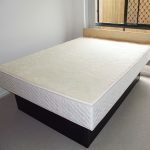 WATERBEDS ARE MAKING A COMEBACK !! There is nothing quite like sleeping on a waterbed. Come in to our showroom at Chermside and see how good it can be. 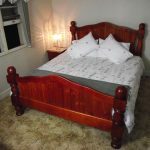 We have a wide range of waterbeds, all with different comfort settings. We have our duet systems on display too. Come in, compare and contrast. Come in and see and feel, compare and contrast for yourself. It really is amazing how far waterbeds have come. 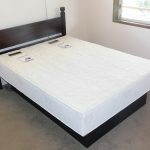 We implore you to come in and see the new generation of waterbeds that are available. 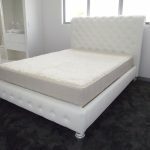 If you are looking to upgrade your current waterbed, or are just curious as to what all the fuss about waterbeds is, about then please come into our air conditioned showroom. Waterbed World is always adding and altering our showroom with new products and ideas giving you more choices. 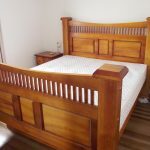 We believe in more waterbeds, more combinations, more ideas for you which leads to you finding the exact bed match for your needs. 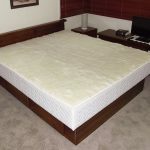 Our products are unique in the waterbed industry. 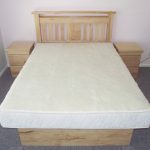 We make our own waterbeds, and our products cannot be found anywhere else. 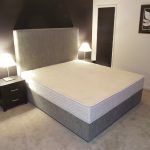 The old adage ‘you get what you pay for’ is very pertinent in the waterbed industry, but we know what quality is, and we know that real quality will last. 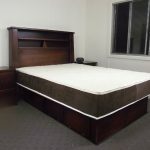 And we make the highest quality waterbeds to last a lifetime. 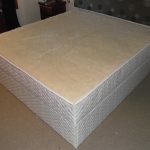 All our Softsider beds are made by us to our highest specifications. We use the densest foam in our foam baths, and only the best fibres in our baffle construction. 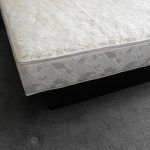 We are so proud of our Dreamaster range of beds and Ovation mattresses, that we offer a guarantee on both the mattress seams and corners, as well as the baffle fibres inside. Another first for Waterbed World. 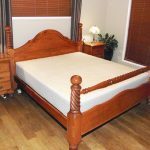 We have an air conditioned showroom for you to find the right waterbed for you. Some people like a soft mattress for their back, while others prefer a harder mattress. It really is an individual need. Thats why its so important to come in yourself and try as many different waterbeds before you buy. We can accomodate just about every need. That is what we are about – adapting to your needs. It is for you, and only you that we exist, so we have to get it right. When you come into our shop you can ….. 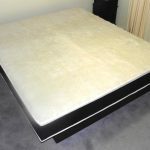 Compare a generally available Softsider waterbed to our own Dreamaster range. There really is a huge difference. 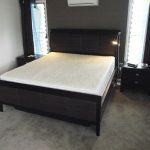 Compare between different ‘duet’ King and Queen size beds. 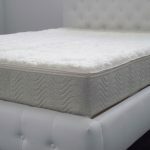 Compare, see and feel the different forms and qualities in Softsider waterbed mattress side supports and longevities. Compare the lack of disturbance available in our twin/duet systems and the difference in individual temperature control. Compare duet/twin systems bladders to waterbeds with just one bladder. 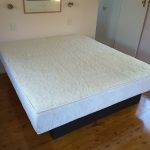 Compare the different popular wave reducing mattresses of the Softsider waterbed range. Compare the pressure points in your bed to the pressure points in ours. 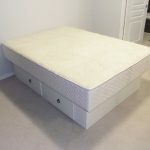 Compare the different heights waterbeds can be made to. 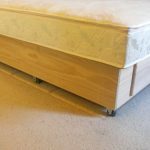 See and feel how easy it is to get in and out of our Softsider waterbeds. Compare the different pedestal bases, hover, draw, ensemble, pedestal with draws, ensemble with draws, ensemble with castors. Compare the different draws available. Jumbo, budget, solid pine, MDF and other combinations. 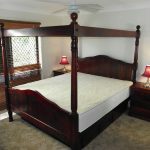 Compare the older timber frame waterbed to the new generation Softsider waterbeds. Compare the washable woollen zip on/off top to a cotton quilted zip on/off top. Compare a comfort insert top. Feel the warmth of the heated waterbed on those aching bones. Select a headboard and other furniture. See and feel the difference between basic, budget, medium and deluxe qualities. 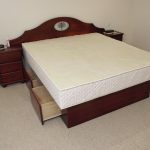 If you would like to re-use your existing bedroom suite/furniture and have us install a waterbed to the existing frame, then please bring in a picture of your current bed. 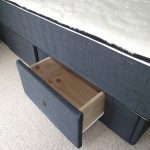 Particularly the support and frame underneath the mattress if possible. This will give us an idea of what exactly needs to be done so we can give you a better estimate for your quote. If you are unable to get our showroom, then some good quality pictures and some basic measurements can be emailed to jawrge@hotmail.com and we will be contact to let you know what needs to be done to get sleeping on magnificent water.